I know my application but I am not sure which sensor is best for me. Where do I start? Confirm the environment of the sensor (is the sensor in a hazardous location, are there environmental conditions to account for, etc.). Understanding the approvals and certifications required can quickly filter the types of sensors available and make the decision easier. Are there space limitations such as an enclosure? Is the output signal predetermined by an existing set up or is it open to options? What types of supply voltages are available to power the sensor? Are there mechanical installation preferences for installing the sensor, such as a specific threaded process connection? Are there any special material requirements for the sensor in terms of compatibility with the liquid or gas being measured? For example, if water is being measured, what type of water? Is it chlorinated, tap water, or salt water? If measuring oil and gas pressure, is there hydrogen sulfide and at what concentration? If the sensor is going to be submerged, what are all of the materials that it will come into contact with? These bullets are not intended to intimidate, but rather guide to the best solution. We understand sensor selection can be confusing with all the different varieties available. Please call us at 862-245-2673. A sales specialist will go over your requirements and walk you through the ideal sensor configuration. How do I purchase sensors from Core Sensors? 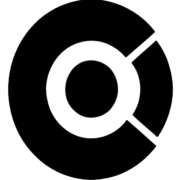 Core Sensors accepts all major credit cards. Credit cards are charged at the time of order shipment. We also offer Net 30 day payment terms for qualified accounts. Visit our How To Buy section for more information. What electrical connection options are available? Core Sensors offers a variety of electrical terminations to fit just about any installation. Standard configurations include integral cable, connector or inline connector. Customers can choose from connectors such as DIN 43650-A and C, M12x1, Packard Metripack 150, 6-Pin Bendix, Deutsch DT04 3 Pin and 4 Pin and others. Certain product families have a limited selection of options due to hazardous certifications and design limitations. Wire-to-cable connectors are available in-line installed directly at the sensor for retrofit applications. Custom configurations are available upon request. Can I buy mating connectors and mating cable assemblies with my sensor? Absolutely! We offer both standard and customizable field wireable mating connectors and cable assemblies. Click here to learn more about the accessories that we offer for our sensors. Do you offer oxygen cleaned products? Yes! The presence of certain flammable liquids or particles when combined with gases such as Oxygen can create problems for systems. We offer oxygen cleaning on most products, where the sensor is cleaned, inspected and double bagged to ensure operation in environments with Oxygen in contact with the process connection. Visit our Oxygen Cleaned Pressure Sensors application page for more information. Can your products be used in hydrogen applications? Yes! The sensor technology and sensor material play a crucial role in the survivability of the sensor in hydrogen applications. Our sales team has extensive knowledge and application experience to properly assist you with the correct sensor configuration. Visit our Hydrogen Pressure Sensor application page to learn more. With the increased popularity of IoT and remote monitoring applications, lower current consumption and sensors operating from lower voltage power supplies has increased. Core Sensors manufactures a variety of low-powered pressure transducers that operating from a 3VDC power supply and produces a 0.5-2.5V output signal. While millivolt output pressure sensors are available, this is amplified from the traditional millivolt signal, giving greater calibration capabilities through a digital ASIC as well as more signal for users to use in the field. Contact Core Sensors to learn more about the output signal and your application. How do I wire my pressure sensor? Click here to view and download our standard wiring diagrams. Wire color and pin designations can also be found directly on the sensors label. If you have a new requirement that you do not see listed, please contact the factory to receive a quotation for non-standard requirements. I ordered the wrong pressure range. Can my sensor be re-ranged? No, the pressure range and output signal are factory set and cannot be re-ranged after sealing up the sensor for shipment. A new sensor needs to be purchased with the correct pressure range indicated. I am not getting an output signal out of my pressure sensor. What should I do? Ensure the sensor is wired correctly. Color and pin designations can be found on the label of the sensor and can be downloaded here. While most output signals are protected from incorrect wiring, it is possible to cause damage with certain output signals. Check the sensor is wired as outlined. Ensure the correct excitation voltage is being used and is reaching the sensor. Excitation voltage requirements can be found on the sensors label as well as on the datasheet of the model family. For long distance transmissions, ensure enough supply voltage is reaching the sensor. To isolate any issues with other equipment, measure the output signal at zero pressure using an independent multimeter and power supply. If at any time you are uncomfortable or uncertain on how to perform these tests, please call us at 862-245-2673 and we will be happy to walk you through the appropriate steps. I need to return a sensor for evaluation. Where do I start? Any item returned to Core Sensors must first be issued a Return Material Authorization (RMA) number. Click here for more information. What is the difference between gauge, sealed gauge and absolute pressure? Gauge – Gauge pressure refers to pressure measurements in relation to atmospheric pressure. 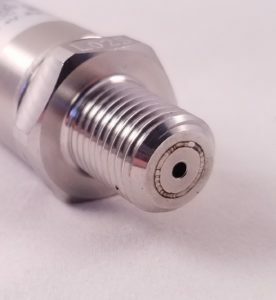 A gauge pressure sensor has either a vent hole or vent tube that allows the back side of the sensors diaphragm (internal to the sensors housing) to see the same atmospheric pressure as the pressure port side of the diaphragm. This is why gauge sensors read zero pressure when the port is open to atmospheric pressure. Gauge pressure reference is commonly used in low pressure applications as changes in barometric pressure from weather or altitude changes can have a considerable effect on the output of the sensor. Sealed Gauge – Sealed gauge refers to a sensor that has atmospheric pressure sealed on the inside of the sensors housing. There are no vent holes or vent tubes. The atmospheric pressure sealed inside the sensor is determined at the time of welding. Sealed gauge reference is common in high pressure applications where changes in atmospheric pressure have a negligible effect on the output of the sensor. Customers may also consider a sealed gauge reference in applications where a lot of moisture or high pressure washdowns occur. Absolute – Absolute pressure refers to pressure measurements in relation to a full vacuum. For example, if an absolute pressure sensor is held open to the air then the sensor will read the actual barometric pressure at that location. Therefore, absolute pressure sensors are affected by altitude changes and other barometric changes. What is the difference between compound and absolute pressure? Compound sensors are very similar to absolute sensors in that they both measure a vacuum. The difference is how the vacuum is displayed by the sensor. In a compound pressure sensor, the sensor is zero referenced to atmospheric pressure. When measuring a vacuum, a compound pressure sensor will display a negative number. For example, a 10 PSI vacuum would display as “-10 PSI” with a compound pressure sensor. In an absolute pressure sensor, the sensor is zero referenced to a full vacuum. When measuring a vacuum, an absolute pressure sensor will display a positive number. Using the same example as the compound pressure sensor above, a 10 PSI vacuum would display as “10 PSI” with an absolute pressure sensor. What is a compound pressure transducer and how do I calculate the output signal? A compound pressure transducer has an offset “zero” output signal such that the baseline signal measures a full vacuum pressure range of -14.7 PSI (or -1 bar). Typically this is offered for gauge and some sealed gauge pressure sensors and transducers. Applications include compression equipment and HVAC/R. Here are two examples of how to properly calculate the output signal points on a compound pressure sensor. The same steps can be used to calculate the expected set points on non-compound sensors as well. The first step is to calculate the mA (milliamps) per PSI value. The first step is to calculate the volts per PSI value. 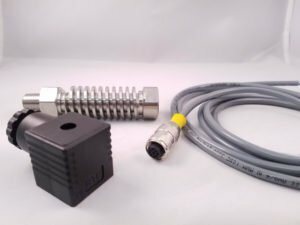 What is a bi-directional pressure sensor? A bi-directional pressure sensor is ideal for applications such as vapor recovery. The positive end of the pressure transducers measurement range is used to monitor the increase in vapor pressure at the top of the storage tank and the negative end of the measurement range is used to monitor the suction when recovering the vapors from the tank. A snubber, also sometimes referred to as a restrictor plug, is designed to slow down the process media as it enters the pressure sensors port. This is important in applications where pressure transients are common such as hydraulics and water pumps. These pressure transients can exceed the rating of the sensors diaphragm and, at a minimum, cause permanent shifts in the sensors output. Snubbers can also mechanically filter out the signal spikes of the hammering effect. The delay of the output signal can prevent pumps and panels from premature on/off functions, increasing the life of the equipment. Core Sensors welds an internal stainless steel snubber in the pressure port to avoid any leak paths or additional length considerations that come with external threaded on snubbers.